At Campsite Ballinacourty House in Stagdale Bridge (Munster) camping costs as little as €18,- per night during low season with CampingCard ACSI. At one of the 45 touring pitches you will get a discounted rate during the period 05-04-2019 - 30-05-2019, 05-06-2019 - 28-06-2019 and 26-08-2019 - 29-09-2019. At this campsite you can not only use your CampingCard ACSI for inexpensive camping, you can also use your ACSI Club ID (as an alternative ID). A rural campsite on an ancient estate in a large nature reserve. Plenty of opportunities for walking in the forests and hills. The campsite offers beautiful views of the surrounding area and has a very good restaurant. New in 2015: re-planted Victorian garden with free entry. A gem of a campsite in a lovely area. Although we didn't use many of the facilities as we are relatively self contained in a motorhome there were a lot of facilities which we would have really appreciated when we camped in tents. It was spotlessly clean and there was the added bonus of being able to view the garden which Chris works really hard to develop and maintain. There were some lovely walks in the area. There is quite a lot of information at the site but I also recommend visiting the local tourist information, which is at the back of the pub down the road. We weren't able to do many of the walks through as dogs weren't allowed on farm land, a problem we regularly encountered on our trip to Ireland. 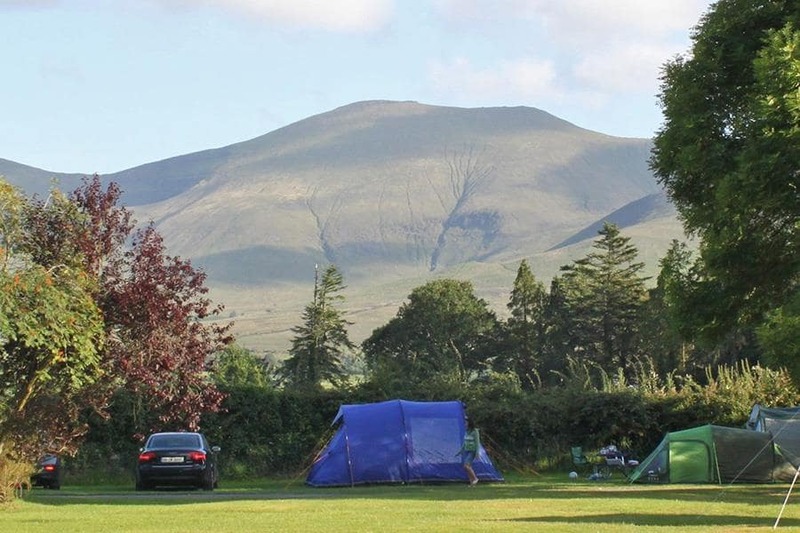 Would you like to book Campsite Ballinacourty House or request more information? You can do both using the information below. N24 Tipperary-Cahia. In Bansha R663 (westwards) to Gabbally. Right onto side road after about 12 km. Campsite signposted on R663. CampingCard ACSI will send your information request to "Campsite Ballinacourty House".